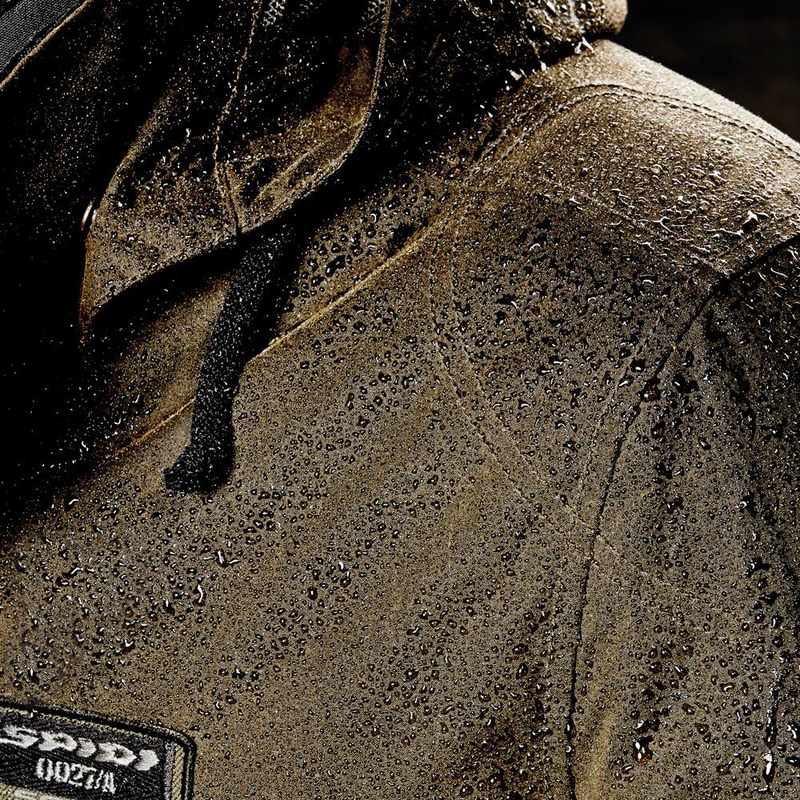 We introduce the 2014 Spidi Waxed Cotton line. This jacket represents a big step forward for Spidi in terms of capability of mixing high technology, old tradition and style. When we started thinking about the “Worker” project, our designers received the input of getting in the right equipment a man riding a 70’s sport-touring bike (such as a Honda CB 350 four or a Triumph Bonneville) all across Europe, in a lonely Autumn ride through the capitals, from Rome to London passing by Paris and Munich. Designers came up with this fantastic 3-layers 4-pockets middle-size jacket and everybody in Spidi liked it. But something was missing…the original fabric had to be something very old style, but very performing. The result was just great, the atmosphere is classic and vintage but the features are – as always for Spidi – first level. Several on-track tests have proven very positive results in terms of waterproofness, combining Waxed Cotton and Spidi H2Out waterproof and breathable membrane.